David Allen’s Getting Things Done (GTD) approach reiterates the challenges of breaking a Project down into Tasks. He focuses on the psychologic barriers people have with the work in front of them. A common example (I’m paraphrasing here) is a person adding “Mom” to their ToDo list. When digging further, David discovers that “Mom” really means “Mom’s birthday is coming up” and there are no Tasks or “Next Actions” defined to move the Project closer to completion. This avoidance is very stressful on the person and a very inefficient way to life a busy life. 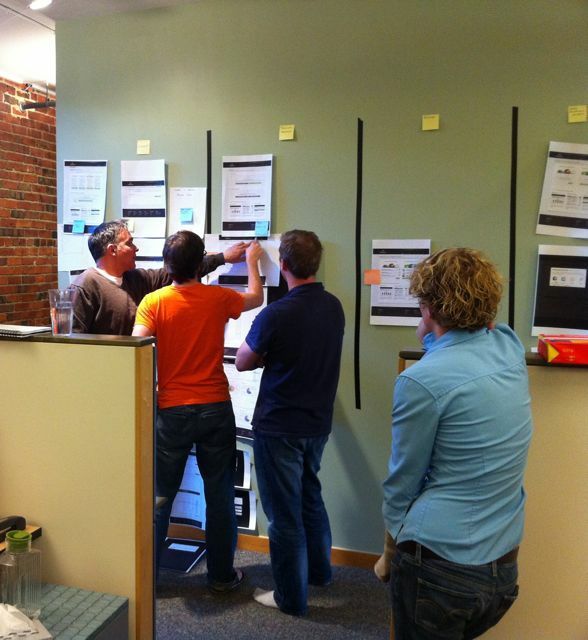 We use Rally’s ALM product and the Kanban custom tab to manage our User Story development. I have worked with 2 teams over the past few years and both I consider quite amazing and talented. Ongoing debates about naming conventions for User Stories, the importance of Tasks, and who should be the Story Owner have never been resolved. Our teams crank out great software, but always within a stressful environment. As I was enjoying a nice bike commute into work last week I was listening to the GTD | Podcasts episode titled “The Do Lectures”. Around minute 10:30 David Allen says that to clarify anything, you have to decide “What outcome are you committed to finish about this?” I realized how similar GTD Projects and Agile User Stories really are. A GTD Project clarifies the outcome you want. An Agile User Story describes what the User wants to achieve. Both GTD Projects and Agile User Stories use Tasks as a method of describing the work required for completion. In both, Tasks probably need to come in some sort of order, will vary in their scope and may require different people’s resource. Also in both, if Tasks can be defined it signals a complete understanding of the work to be done. Granted, you may have missed something, gotten something wrong or encounter changes along the way, but at least you’re on the right track. My experience in working with fellow Developers is that being asked to Task out a User Story is sometimes treated as some kind of insult or waste of time. We joke a lot about a common Task name we use in Rally simply titled “do it”. Again, the GTD project similarities are strong here. The initial reaction is to keep things in your head and resist verbalizing the steps required to complete the work. Instead, insist on breaking every User Story down into Tasks and agree that the first Task to be worked on or “Next Action” is the most important one. By leveraging the GTD Projects similarities in your Agile team, hopefully everyone will be more efficient and less stressed!